Use this worksheet to decide if your use of someone's copyrighted work is fair use. Keep a record so you can show your reasoning. Q: As long as I use less than 10% of a work, can't I ignore the other factors? I like hard numbers! A: Fair use is designed to be flexible, and courts have resisted applying specific numbers. Fair use determinations must weigh all four factors. In instances of particularly transformative uses, such as parodies, someone might borrow far more than 10%. 10% is a conservative number found in many best practice documents relating to academic copying. Q: The copyright holder refused to allow me to publish an excerpt of their work because they didn't like my criticism of their work. How does this impact fair use? A: It doesn't. In fact, if you're unable to obtain permission to use a particular work, this could weigh in favor of fair use. Q: How is copyright related to plagiarism and citing? A: The Copyright Act doesn't specifically talk about giving attribution to creators, but Oregon State University takes academic integrity seriously. It is best practice to cite the source when using the work of another. If any copyright notice was on the original work, it should be reproduced on the copied material. Such attribution is good etiquette, avoids hard feelings, and lets users know that they may need to seek permission for subsequent uses of the copied material. Q: I want to publicly screen a film. Since I'm not making money, this is fair use, right? My professors show movies in class all the time! A: Showing an entire film for extra-curricular purposes is not generally considered fair use. There are special exceptions that allow teachers to show films in class, but these exceptions don't apply outside the classroom. Contact me and I can help you find out how to get public performance rights for films. Fair Use: It's Your Right! Fair use is part of copyright law and allows you to use copyrighted materials without permission under certain circumstances. Fair use is particularly solicitous of non-profit, academic uses. Before relying on fair use, you must consider each of the four factors, and how they weigh for or against your use. Use this guide and the fair use worksheet to make your own good faith determination. If you determine your use would likely not be fair use, you can still ask the copyright holder for permission. 1. Did the use “transform” the material taken from the copyrighted work by using it for a broadly beneficial purpose different from that of the original, or did it just repeat the work for the same intent and value as the original, in effect substituting for it? (note: classroom copies are still explicitly permitted. In all cases, use only the amount needed for teaching purposes. See Copyright in the Classroom for more information). Take a look at the Fair Use Worksheet for a more detailed analysis of each of the four factors. The following documents have been created by experts in these communities, usually with legal counsel, but they do not have the force of law. 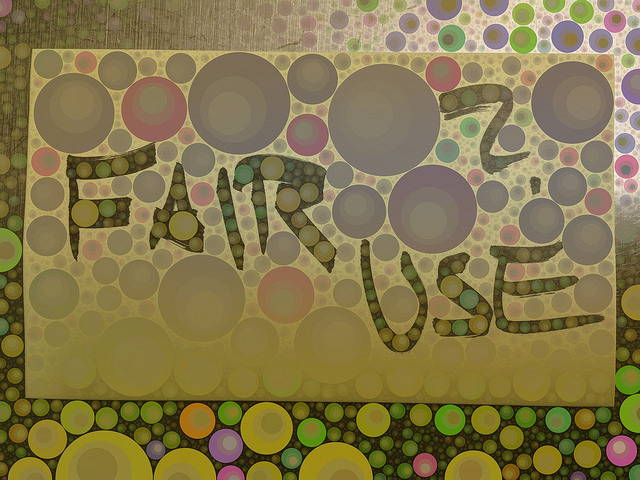 There's a lot more to know about fair use! Use the resources below to educate yourself further. Stanford provides a helpful overview of important fair use cases. Because fair use is not very specific, it's important to know how courts have interpreted the four factors. CMSI provides a lot of helpful information on fair use, including best practices and teaching materials. Fair Use? by rosefirerising. Used under CC BY-NC-ND 2.0.